B.S. Degree, Florida State University (Political Science), 1955; J.D. Degree, University of Florida College of Law, 1963. First District Court of Appeal, January 1989 to present; Circuit Judge, Second Judicial Circuit, March 1976 - December 1988; Attorney for and General Counsel to State Board of Education of Florida, 1970-76; General Practice in West Palm Beach, Lake Worth and Clewiston, Florida, 1964-70; Assistant Palm Beach County Solicitor, 1963-64; Legislative Assistant to Congressman Paul G. Rogers of Florida, 1959-61; United States Capitol Police, Patrolman, 1958-59; English and Civics teacher, Clewiston High School, 1956-57. 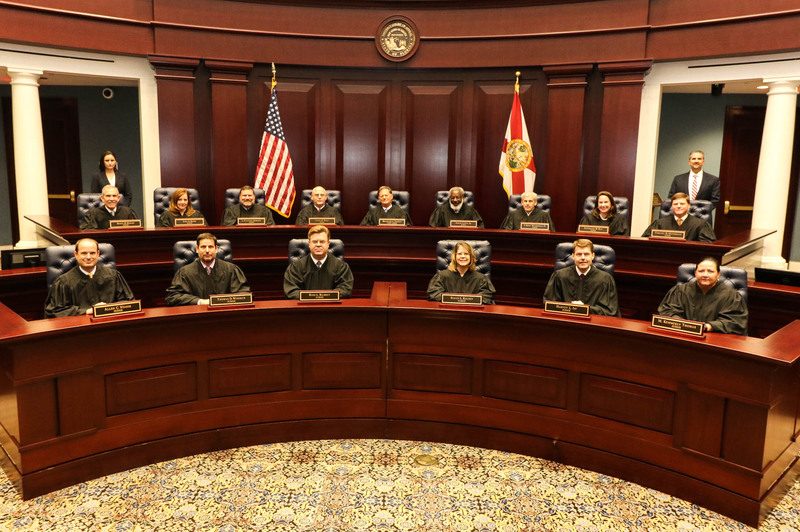 Member, The Florida Bar, Admitted to practice before the United State Supreme Court in 1971. Affiliate Professor of Public Administration, Florida State University, 1974-78; member, Board of Trustees, Collins Center for Public Policy, Florida State University, 1989-present; active member, the Dramatist Guild. Chair, Task Force For The Review of the Criminal Justice and Corrections Systems 1993-94. "Special Corrections Districts: A Solution to State Prison Overcrowding?, "The Florida Bar Journal, April, 1989; "Too Much Chain To Swim With", a dramatic play presented on Mainstage at Florida State University, April, 1986; "Politico", a musical play presented at Tallahassee Community College, April 1990, and "An American Affair", a musical play presented at Tallahassee Community College, September 1993. Currently writing libretto for an opera based on the life and career of America's first muckraking journalist.